For the final stop along the Road to Cop 22, we’re in Souss Massa Draa, in southern Morocco. This region is the home of the country’s Triple A initiative which aims to transform the continent’s agriculture to face the challenges of climate change. The Triple A initiative is part of the Green Morocco Plan which deals with agriculture and the agro-industry. It aims to address three challenges facing the African continent: funding, increasing agricultural productivity, and the increased carbon sequestration in African soils. “In Morocco, we have many achievements,” Bro Hro, Regional Director of Agriculture of Souss Massa Draa, told Euronews. “They guarantee us very good results in our agricultural sector. I am convinced that our achievements and our experience will help also other African countries. Tomatoes are one of Morocco’s main agricultural products. 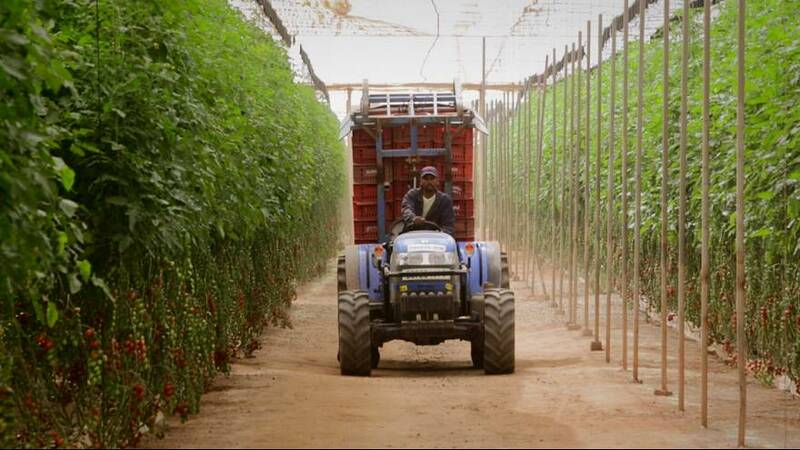 The warm climate promotes tomato cultivation, but to improve productivity Moroccan farmers use greenhouses. Everything possible is done to achieve the highest return. Citrus fruit growing in Morocco is an art that requires great skill. Many factors influence the quality and taste of the fruit. Such as the favorable climate, rich soil, and attention to detail along every stage of cultivation, storage and transportation. COP 22, also known as the action conference, aims to define the different mechanisms for the implementation of COP 21. COP 22 is the bridge between decision and action.